ODB has created a series of “tip sheets” that provide context and background about privacy issues faced by members of historically marginalized groups. 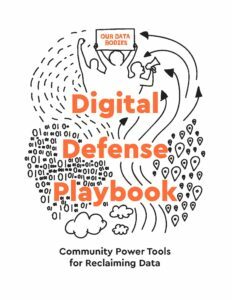 Data Brokers and Opting Out is part of this series and will soon be published as part of our forthcoming Digital Defense Playbook: Community Power Tools for Reclaiming Data. In the adaptation of moving so much of our lives online, private and public companies have also adapted, however, sometimes with dangerous consequences. 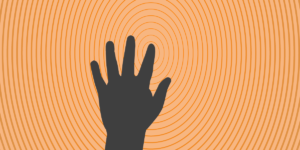 The data broker industry is one that is diverse and far reaching. Data brokers are often associated with buying and selling your online shopping history to marketers, but data from all kinds of online and offline activity can be bought and sold, with serious repercussions. 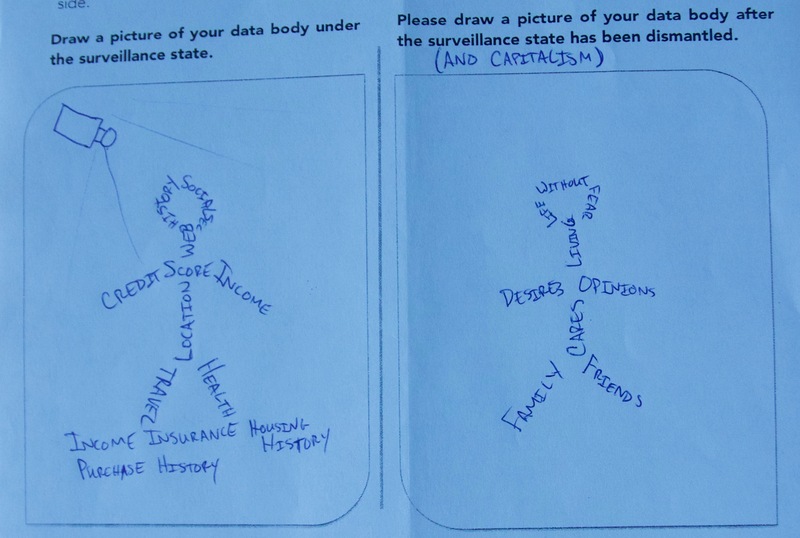 This info sheet outlines the research we have done around the buying and selling of data like phone calls made to prisons, cell phone location, medical records and prescription histories, public or sealed records, and social media activity and how this can affect marginalized bodies. A data broker is an entity or individual that aggregates, analyzes, and buys and/or sells data that is related to both online and offline activities. The work of a data broker can depend on the social domain they focus on, such as commercial interests, consumer interests, geolocation, or medical records. Data brokers have existed long before the internet, but the internet and very few regulations that determine what companies can and cannot do with your data online have fueled their growth. Data brokers buy and sell a myriad of information from anywhere from online shopping history, to Facebook posts, and even individual records of Walgreens prescriptions to sell to pharmaceutical research labs or other profile assembling brokers. This kind of data brokering both overlaps and differs from what is known as consumer reporting agencies. When data are used for decisions about credit, employment, insurance, housing, and other similar eligibility decisions, the Fair Credit Report Act applies and ensures some safeguards for consumers. But FCRA does not cover the sale of consumer data for marketing and other purposes—i.e., the business of many data brokers. Some data brokers, such as Experian, overlaps both as a data broker and as a consumer reporting agency. 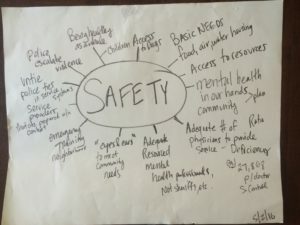 What are the concerns and risks? Data brokers and their practices can have serious privacy implications for any person, but for marginalized and vulnerable citizens the buying and selling of our information by data brokers also ties to problems of predatory targeting, racial profiling, and discrimination by the state and corporations alike. For example, a 2013 report by the U.S. Senate Commerce Committee revealed that companies that provide financially risky products such as high interest payday loans were buying profiles of financially vulnerable people from data brokers who created such profiles. This information was then used in the marketing for “subprime” products (i.e., products aimed at people with bad or no credit), which in turn increases people’s risk for spiraling into financial debt. Major data broker companies such as Spokeo, Experian, and Tracers keep records and create databases on personal data such a criminal records, addresses, email and telephone information, which can also target returning citizens if these profiles are used for police surveillance, a practice Tracers specializes in. Additionally, data brokers such as Location Smart and Geofeedia sell geolocation and social media information to clients including law enforcement. Such information facilitated the targeting of Black Lives Matter activists during the uprising in Ferguson, MO. The targeting of citizens and activists cost a police department in Boise, Idaho, $24,000 in 2015 for a yearly subscription to Snaptrends, which boasted to aid the department to learn a suspect’s “geographic patterns of life” through Twitter activity. The best advice data privacy experts is to attempt to opt-out from data collection whenever possible. Deny the use of your location on apps, uncheck the boxes on sites to receive subscriptions offers from third parties, and opt out of pre-approved credit offers. Become familiar with digital security tools and practices, too. For example, the Web browser DuckDuck Go has built-in features to prevent other third parties from tracking a user’s web browsing activities. Free messaging app Signal encrypts your messages “end to end,” meaning that only your device and the device of your recipient can read your message. Ad blockers can also limit the tracking of your Web behavior. These individual-level actions can reduce some aspects of state and corporate surveillance as well as heighten your own awareness of your online presence. What we can we do collectively? You can also mirror local abolitionist efforts like those led by the Stop LAPD Spying Coalition, which regularly documents information sharing of the stalker state. Groups like Center for Democracy and Technology and the Electronic Privacy Information Center (EPIC) focus on broader legislative campaigns to reform commercial data collection and use.